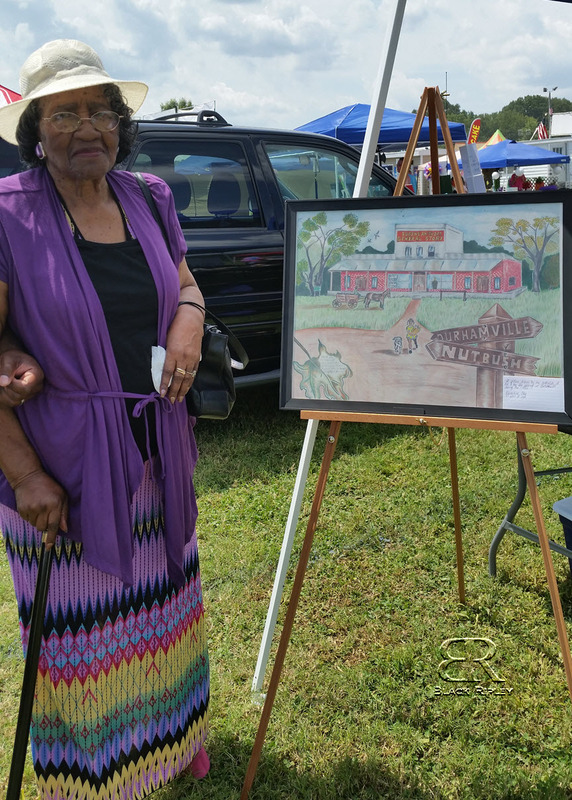 As mentioned about a week ago Black Ripley sponsored a Pop Up Museum at the 2014 Lauderdale County Tomato Festival. We were there from about 10:00 am – 4:00 pm. 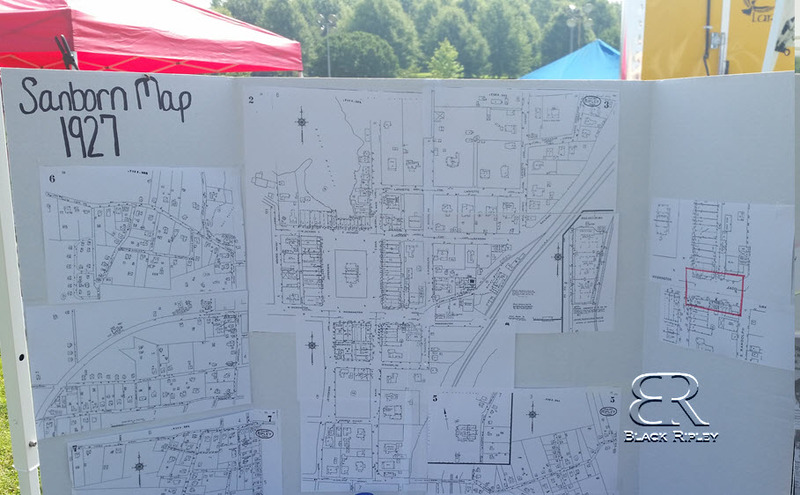 I’d like to thank each and every person that stopped by to share their memories of the area. From those memories I was able to learn a lot about the area. There were a variety of items surpassing many years on display. 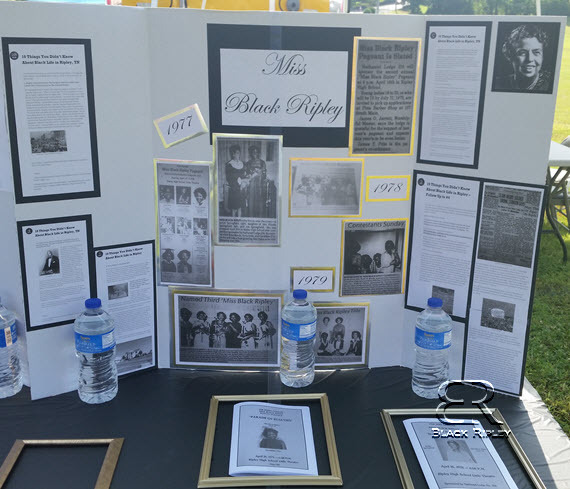 Miss Black Ripley Display with information on pageants from 1977 – 1979 along with pageant souvenir booklets. Also included were articles from the “10 Things” series. 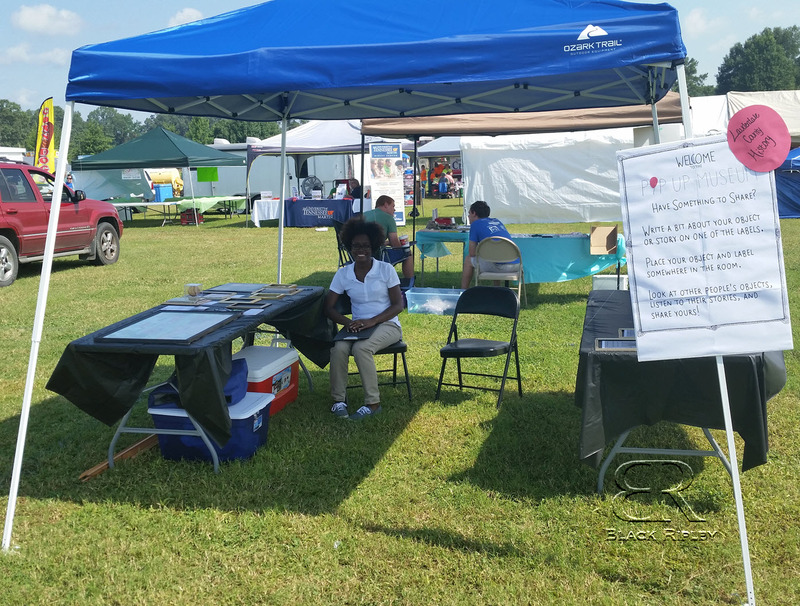 Table Display featuring Alex Haley’s Warner Bros records on Roots, a wooden nickle from JT Williams grocery, a school book published in 1890 from the area. 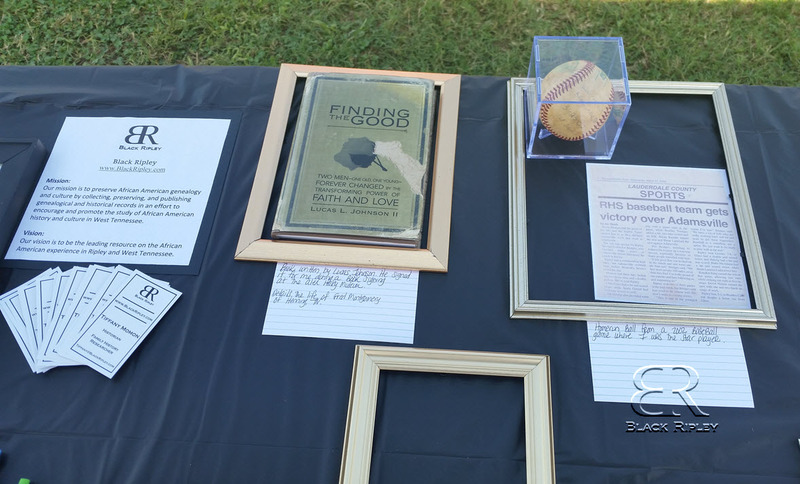 Table Display featuring “Finding the Good” book by Lucas Johnson on the life of Fred Montgomery, home run baseball from a 2002 RHS baseball game and an article about the game. It was a great day. I’m very grateful for the participation and encouragement that was received. 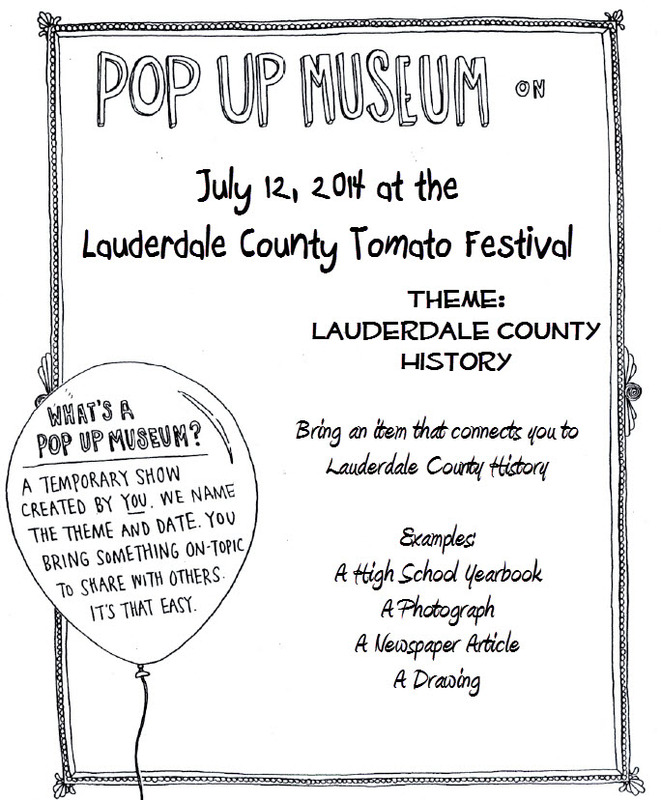 Come down and see me on July 12, 2014 at the 2014 Lauderdale County Tomato Festival. 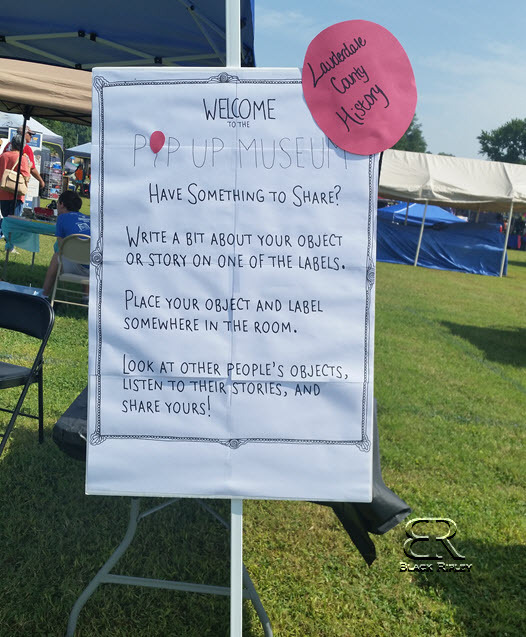 Bring an item that connects you to Lauderdale County history. Don’t have an item to share? That’s fine! Come on down and leave a memory or view maps of the area. Have a genealogy question? Come on down and ask! 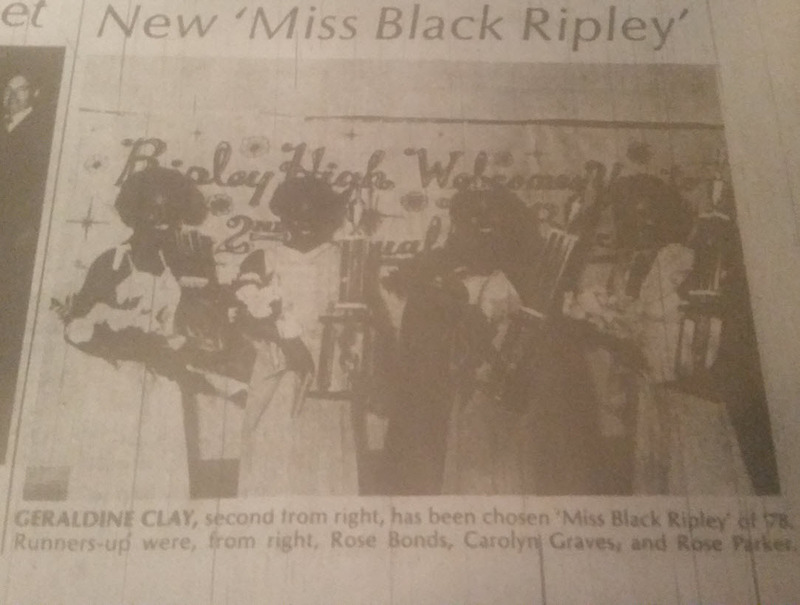 Look for a special display on the historic Miss Black Ripley Pageants!